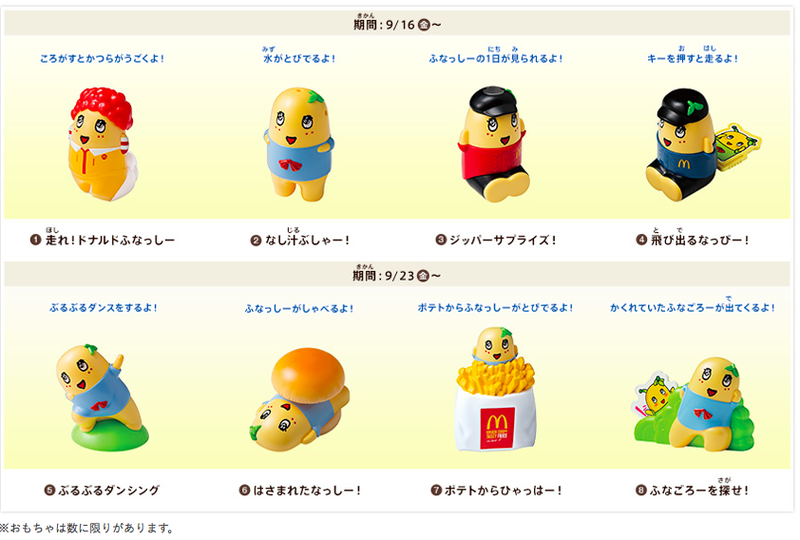 Back in early September, I saw that McDonald's Japan would launch new Happy Set (that we call Happy Meal in Japanese) with Funassyi toys. Funassyi is one of the most popular and has the economic impact as much as Kumamon does. 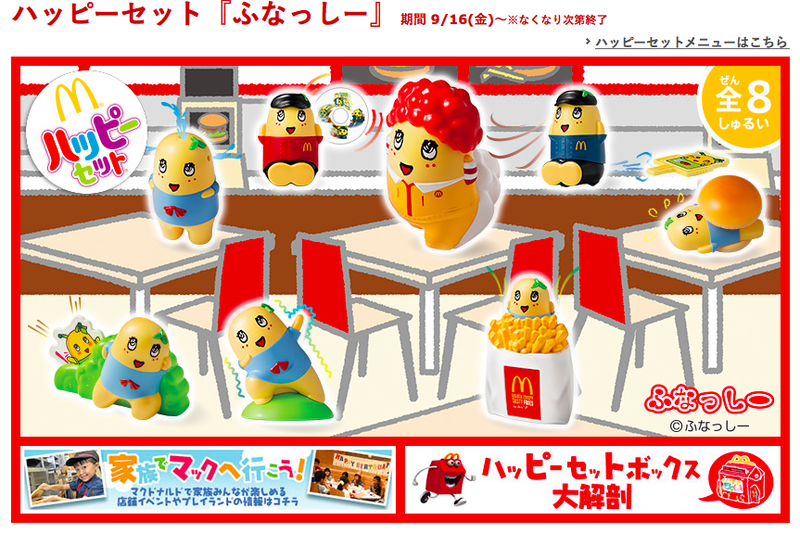 As soon as I learned this, I texted my mom to get some for me, and on the launch day, she got me 2 toys that I wanted. 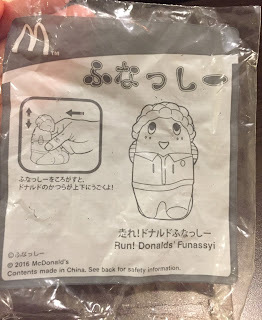 As you noticed, in Japanese, the mascot is Donald McDonald while the English name is Ronald. This toy runs when you roll it. 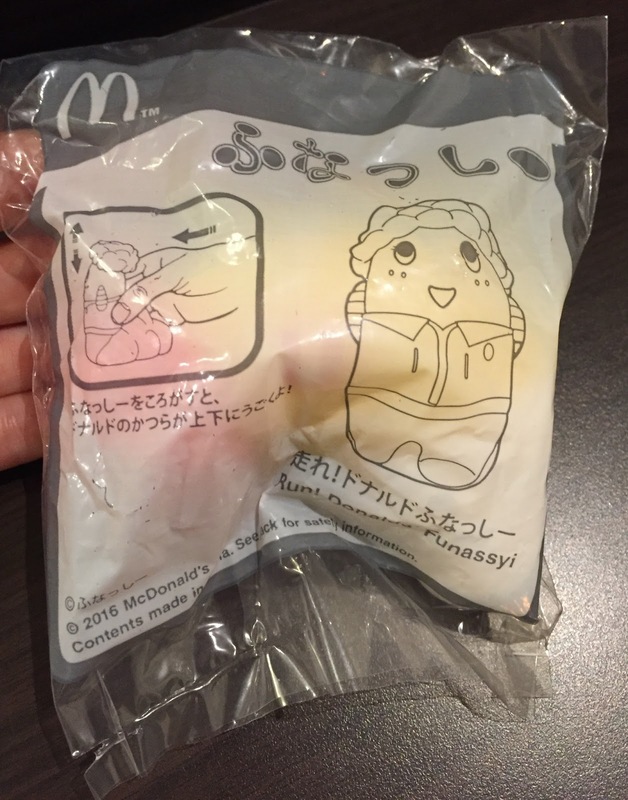 Funassyi is wearing Ronald's characteristic red bubbly hair, but this one looks like he's got salmon roes poured over his head. 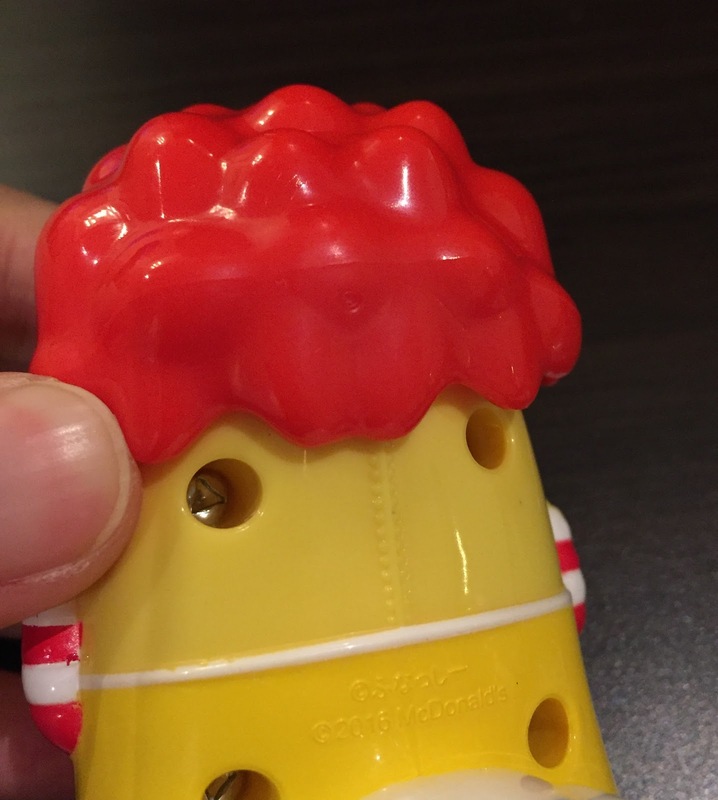 His zipper on the back was designed, too. 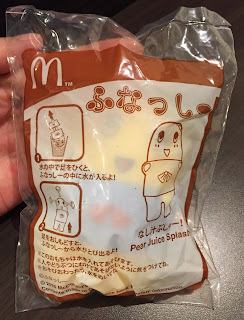 Under the wig, there's a pear leaf that Funassyi has on his head. 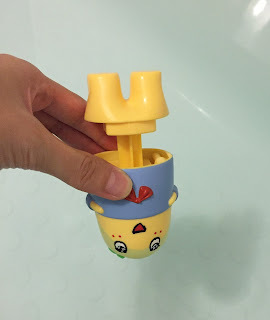 * Busha- (ぶしゃー) is a imitative word used for when you splash something swiftly. The bag said, "Pear Juice Splash." 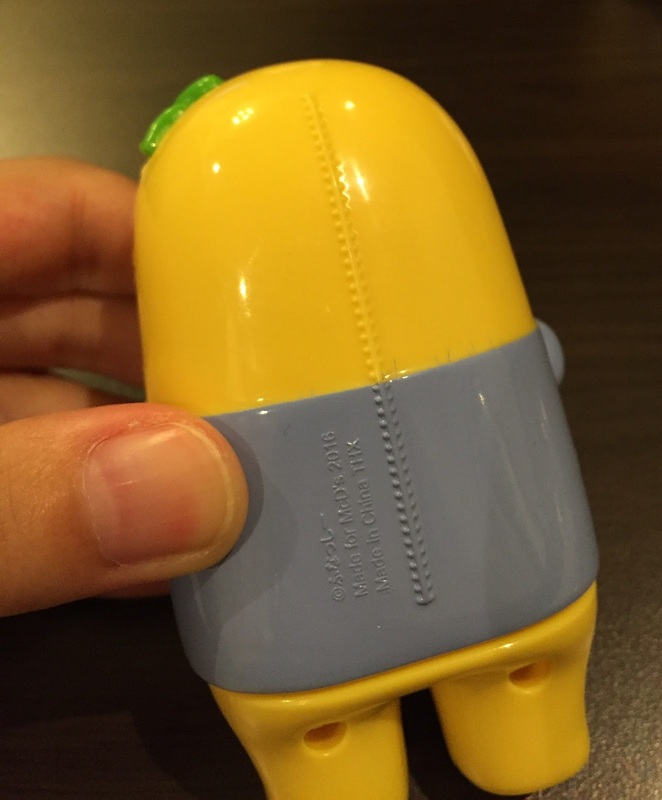 This Funassyi also had the zipper motif. It's like a water gun, and the legs were to pull out to put water. 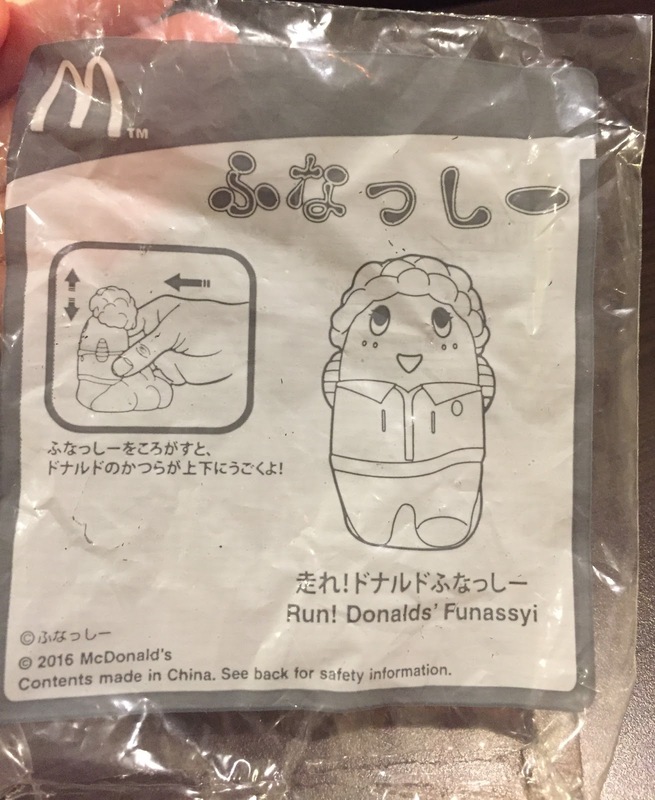 Put him upside down and pull the legs, then water goes into his body. 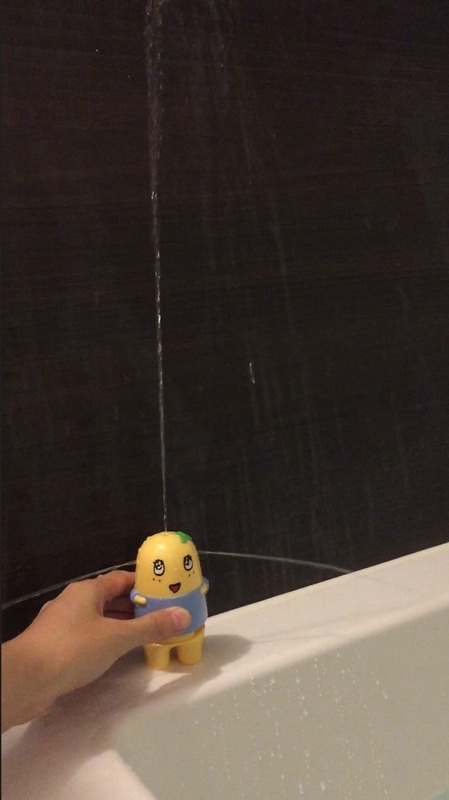 Surprisingly, the water splashed faraway. 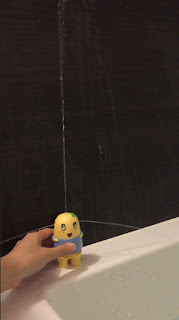 I think the water coming from the top reached 60cm (23.6 inch). Sapporo Ichiban Shoyu Ramen Nasshi-!